You must make bookings at least 5 minutes in advance of the time at temper City. Whole animal barbecue taqueria and steak house. 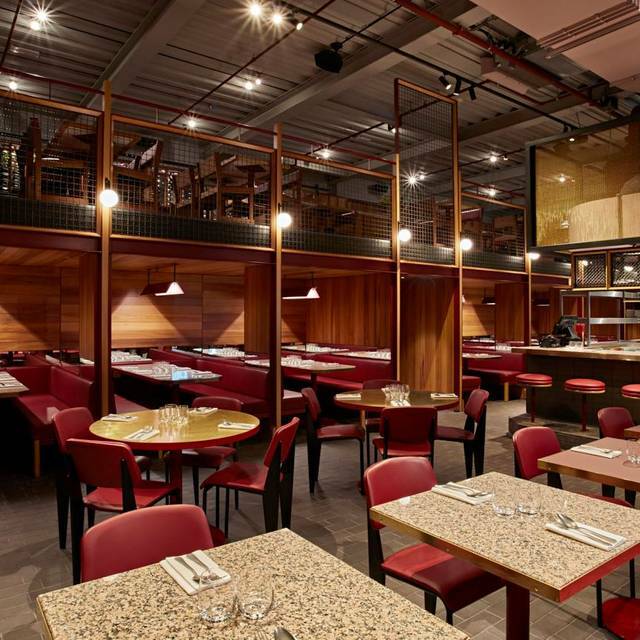 temper City is similar to Soho but bigger, with the addition of a modern day steak menu where chefs butcher steaks from whole cow, lambs and other animals. We offer the best value prime meat in London. Daily specials and huge cuts for large parties - or for those that have a bigger appetite. The dining bar surrounds our open fire pit, where whole cuts are tossed onto the grill to slow cook. temper City has one of the biggest tequila and mezcal lists around. 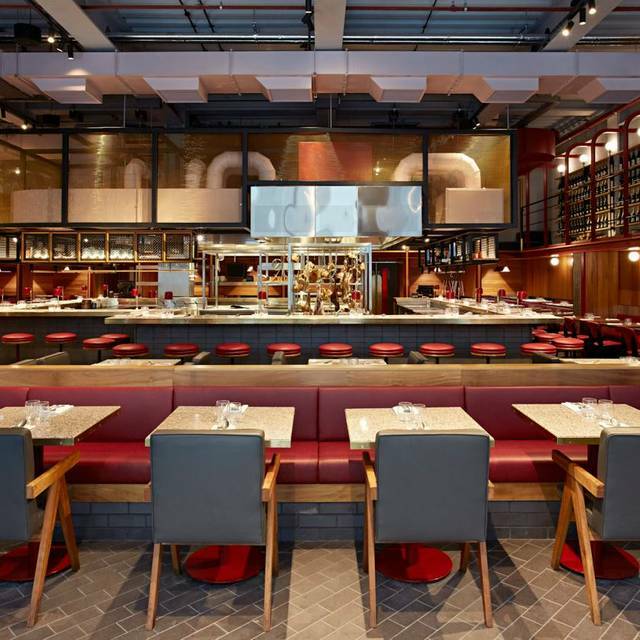 There's a huge cocktail and gin offering, plus hackney lager on tap. 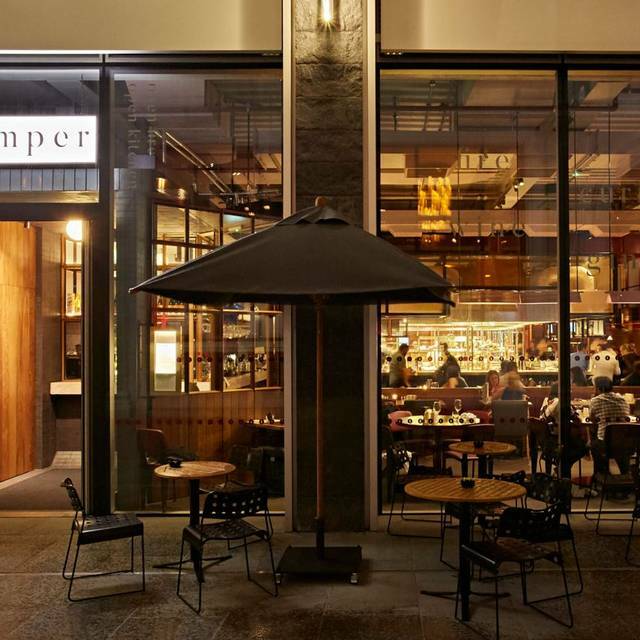 temper was recently voted the best cocktail restaurant in the UK, and temper City is no exception. 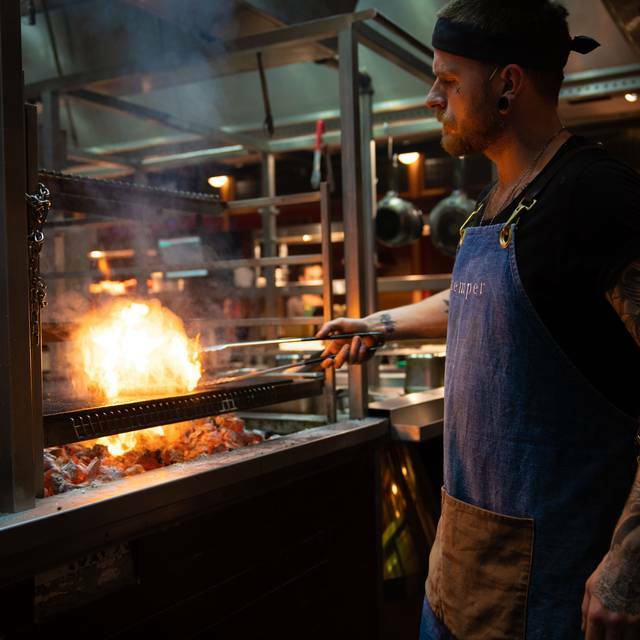 There are large booths, banqueting tables, bar seats to watch the kitchen at work, a huge private-hire mezzanine and an outdoor area where you can catch the best of the British summer or wintertime. We take reservations throughout the day and we always try to save spots for walk-ins. temper city is a fantastic venue in the City. Fire, steaks and gin take lead on the menu and this grand industrial dining room with fire pit provides a unique backdrop for any occasion. Our Events Manager will work with you to create a bespoke event to your preferences, but with a twist! Michelle serviced us and she was brilliant. Food was amazing. We came in for Brunch and had the bottomless cocktails and Porterhouse steak, followed by the cookie with caramel. Having been to Temper City I expected it to be a high standard and it did not disappoint. My favourite of the 3 Temper restaurants. I came here on Friday with a friend and it was lovely. The food was really good, we shared nachos to start were okay. The main was the best part, we shared a rib eye steak, crispy fried chicken with tomato salsa and chips. the food was really really yummm. We also had a bottle of prosecco too which went down very well. Not as excellent as previous visits, bass civiche not a hit. No lamb at all and other items not available as well. Great food, would definitely recommend the smaller plates (tacos, nachos, tostadas) over the main meals. Good service and an impressive venue - huge side of ages beef on show when arriving was very cool! I believe Temper Soho is better. I liked the last time that we ate at City when the theme was slightly indian. This time the Cocktails were not as good as the same cocktail from Soho. We waited a long time for anyone to take our order and in Soho where the helping staff advised us correctly that we had over ordered and might like to take one main out and replace with greens (lovely). This time there was too much with the fish on top of the platter for 3 and 4 starters.... no greens. Perfect chilled out brunch/lunch in the Centre of the city. 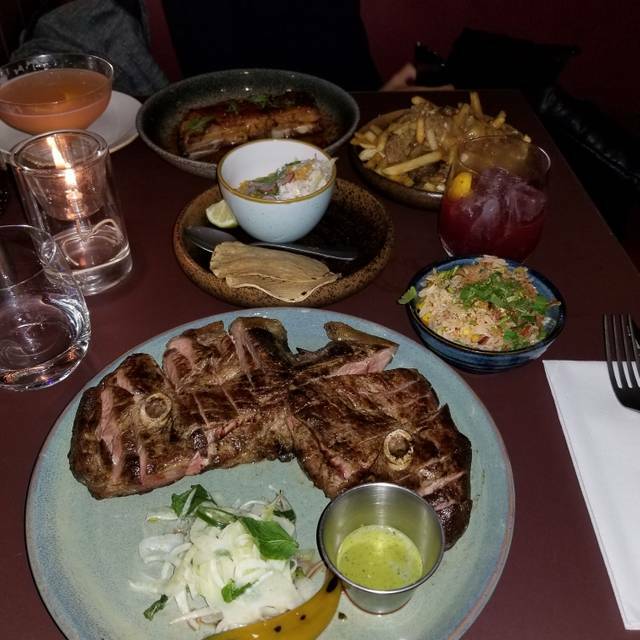 Gorgeous food, plus really good versatile options for everyone in terms of drinks - whether you want bottomless cocktails, a few glasses of bubbly (half price champagne!) or just to enjoy the food. 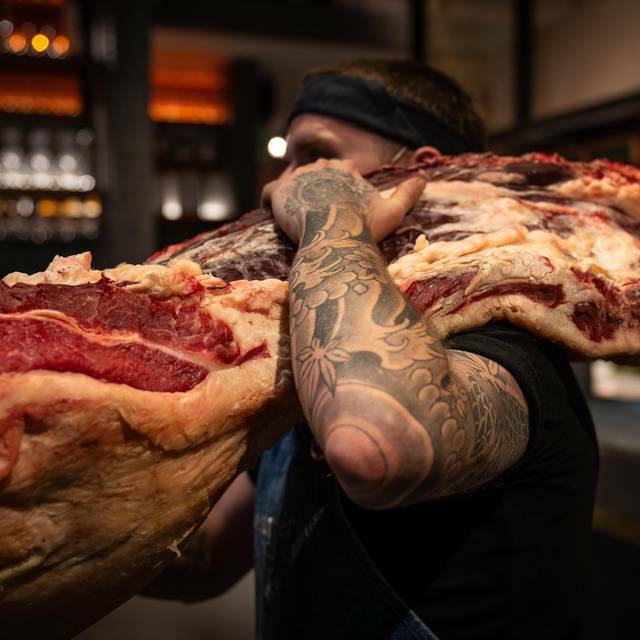 So many places offer ‘bottomless brunch’ that focuses purely on the booze option, but if you love your food and appreciate steak, this is the option for you. Excellent service, laid back atmosphere, would definitely come again. Great venue. 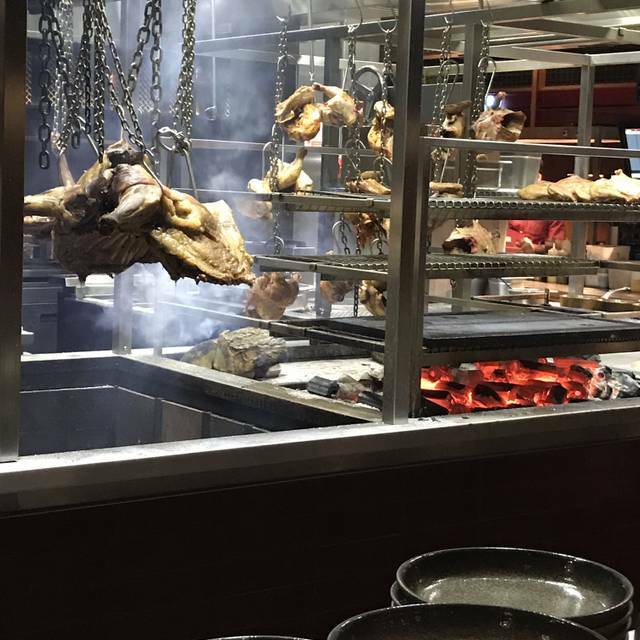 You can see the food cooked in the bbq in the restaurant. Service was very good and the selection of starters was good quality. Very, very loud. Otherwise good. We went to Temper for the first time on Wednesday evening. 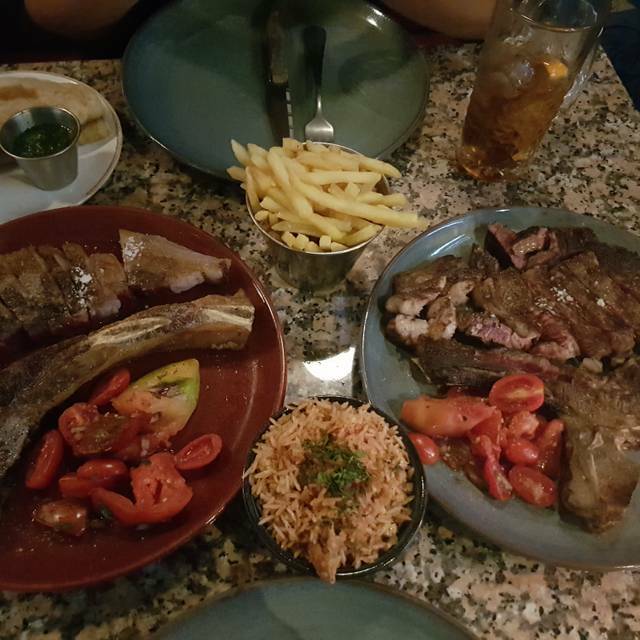 We ordered a mixture of starters alongside mains of cowboy lam, porterhouse and chateubriand. The food was all excellently cooked however would reccomend sharing the lamb as it was very large. Really great experience- friendly staff and gorgeous food. Must order the goat tacos! Portions are a bit on the small side so bill does tend to add up quite quickly. Food was excellent as always although the service was a bit slow and they forgot a couple of items. Service was amazing!!! Great innovative dishes!!! One of the better dinner spots in London. Fantastic staff. The restaurant struggles to get people in on a Saturday as it is in the City, but people should definitely take advantage of this!! Incredible food and service, best meal I’ve had in a while. Quiet on a Friday evening as is the City, but means you get looked after very well. Steaks are expensive but worth it, but the normal mains are cheaper and very tasty. The Mutton poutine was exceptional. Extremely attentive and engaging service. Food was good, I wouldn't describe it as true bbq but enjoyable non the less. Drinks were enjoyable and had an excellent range of gins. Great food ! However, the starters seemed a little overpriced. Was really excited to eat at temper but the experience fell short. The rib eye steak was great but everything else was just flat. The seasoning used on the pork taco and pork carnitas seemed to be the same and tasted of burnt chilli. Very expensive for what we had, which was a less than ok meal and very small portions. Great decor and love the kitchen in the middle, staff were very good too. Had one of the best meals I’ve ever tasted! The goat carnitas were delicious and we thoroughly enjoyed the Bananaramadrama dessert! Our waiter really looked after us and made our night. Lovely atmosphere would 100% recommend to friends and family. We seated at the counter so we could see all the action. Loved the interaction with the chefs. Will definitely be going back and would recommend. The steak and soft shell crab were both amazing. Temper was good, the food was tasty and the service very attentive. However, the portions of the dishes were quite small considering the price. Music a bit too loud to have a decent conversation, but can't fault service or food. The food was good but the service was the best thing. I was a bit worried about the fact that the reservation confirmation email said we'd only have the table for 1.5h but the service was speedy though friendly and in any case it seems like they didn't need the table so we were there for a couple of hours. The BBQ menu is excellent. The goat probably my favourite. We had a great group lunch at Temper. We shared a bunch of taco plates, some of which were better than others. The cheeseburger taco and the soft shell crab stood out to me with the pork and fish not as impressive. I also had the sea bass ceviche which was really good but the piece of sea bass need to be diced up smaller like traditional ceviche which would make this dish easier to eat. All in all a good but not great meal. Group of 7, we all really enjoyed our food and the atmosphere in the restaurant. The cookie desert was to die for. Our server was the most amazing server and even walked us to another bar afterwards. Only thing that could have been improved was the waiter serving drinks, it took a good while for the drinks to arrive once they were ordered. But overall very good and would go back again. 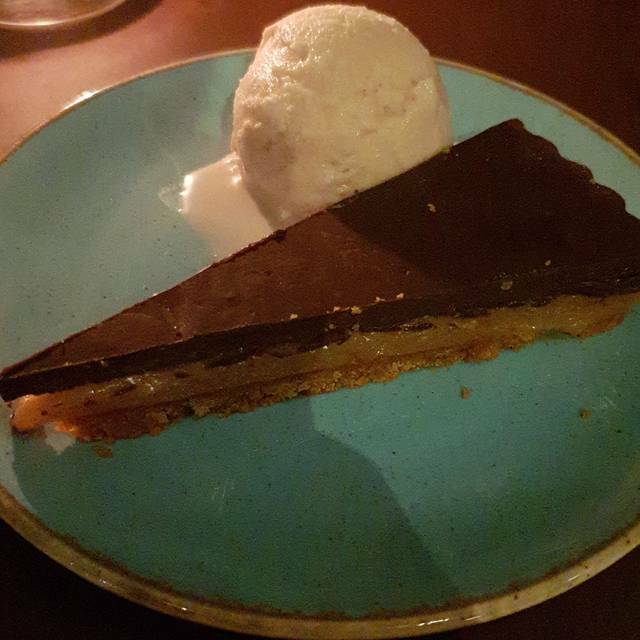 Great service, atmosphere and drinks however the food was not impressive and overpriced. It's a shame that the beautiful looking meats arrived at our table underwhelming, tasteless and cold. Was expecting to have my mind blown by the flavours but I'm sad to say that both starters, pork rib and chateaubriand were disappointing at best and cold and unappetizing at worst. Actually the best thing we had was the ancho beef nachos - would recommend this! Fantastic service from very happy staff. Fantastic steak, Fantastic wine. One of the best Steak meals I have had so long as you like T bone.